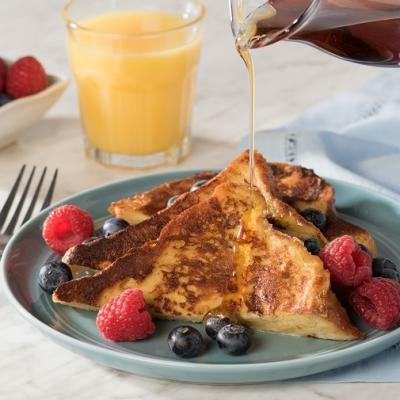 Try something new with your French toast. 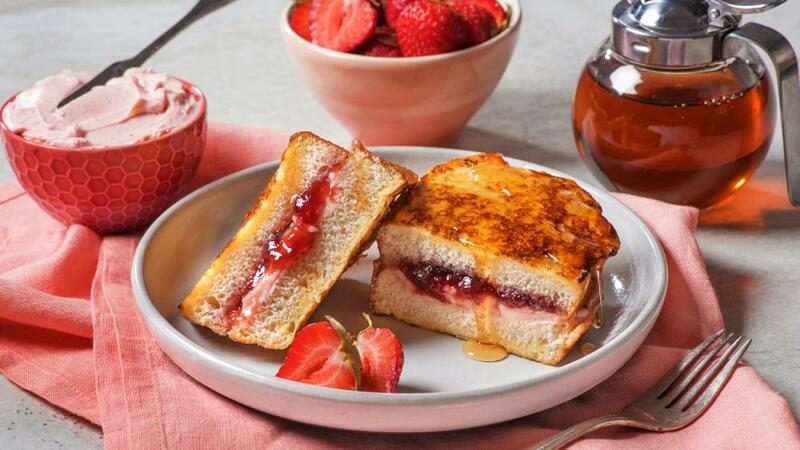 Add strawberry cream cheese and strawberry jam between 2 slices of French toast for a delicious breakfast or brunch that will satisfy your sweet tooth. Place four slices of bread on work surface. Spread cream cheese evenly over bread. Spread jam over cream cheese. Top with remaining slices of bread. Whisk eggs, milk and vanilla in shallow dish. Spray large non-stick skillet with cooking spray. Heat skillet over medium heat. Place sandwiches in egg mixture, one at a time; soak both sides with egg mixture. Remove sandwiches, letting excess drip into dish. Place in hot skillet. Cook sandwiches until golden brown on both sides, 2-1/2 to 3 minutes per side. Sprinkle icing sugar over top and/or serve drizzled with maple syrup, if desired. Instead of strawberry jam, use your favourite jam or jelly. 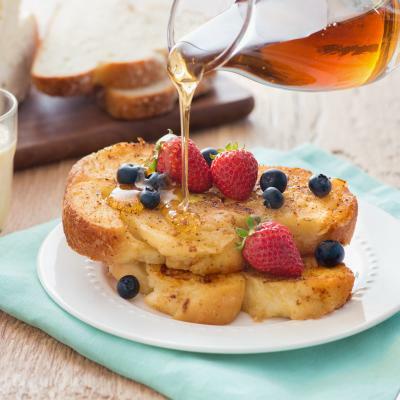 Serve with maple or fruit syrup, preserves or whipped cream. Instead of sandwiches, make Stuffed French Toast Pockets. Slice French bread into four 1 1/2 inch (4 cm) thick slices. Cut a slit into each slice of bread without cutting all the way through. Combine cream cheese and jam and spread mixture one-quarter of mixture into each pocket. Continue with recipe as described above.